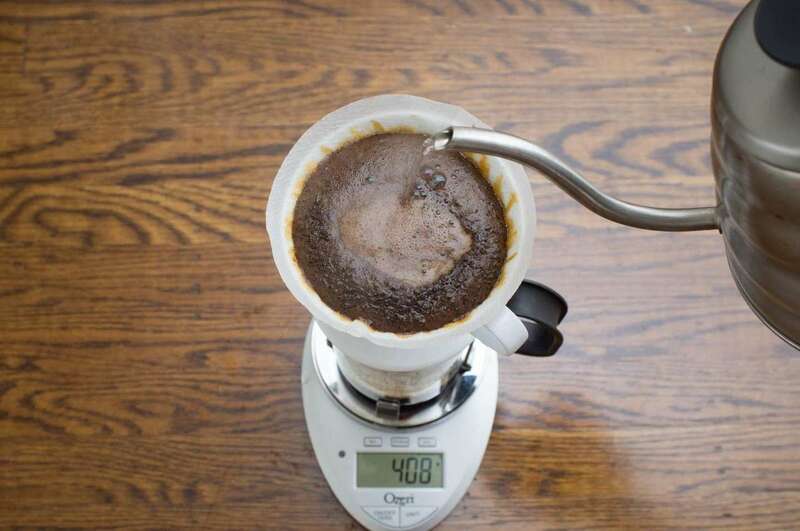 Zero out your scale, then pour about 40g to start the bloom process. Wait 30 seconds. 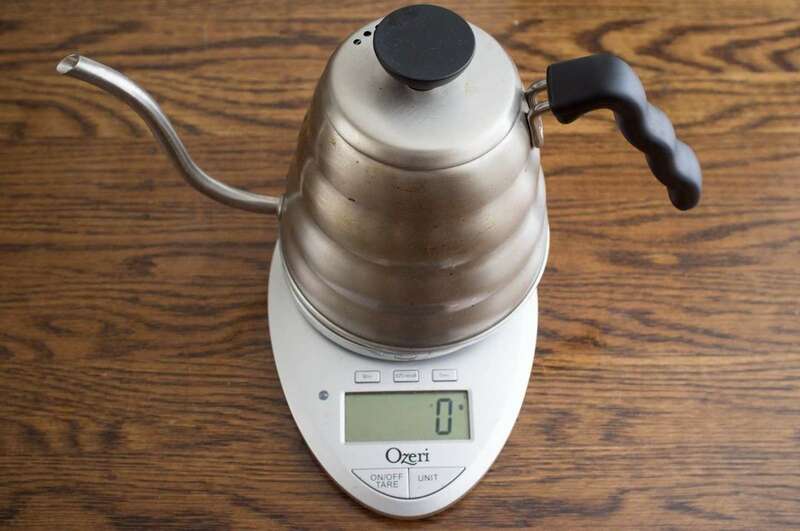 We are going to be precise with our measurements so we need to zero out our scale and add water to your kettle. It also helps greatly to have a gooseneck kettle. 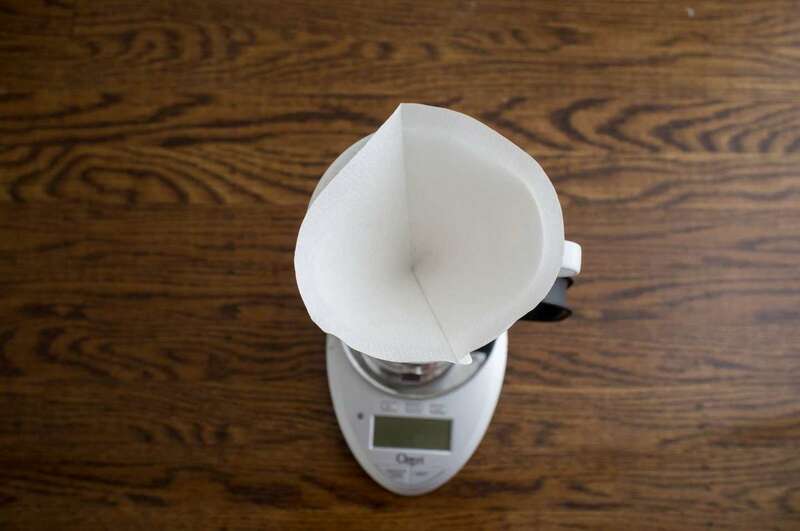 My kettle is the Hario V60 Buono Coffee Drip Kettle. 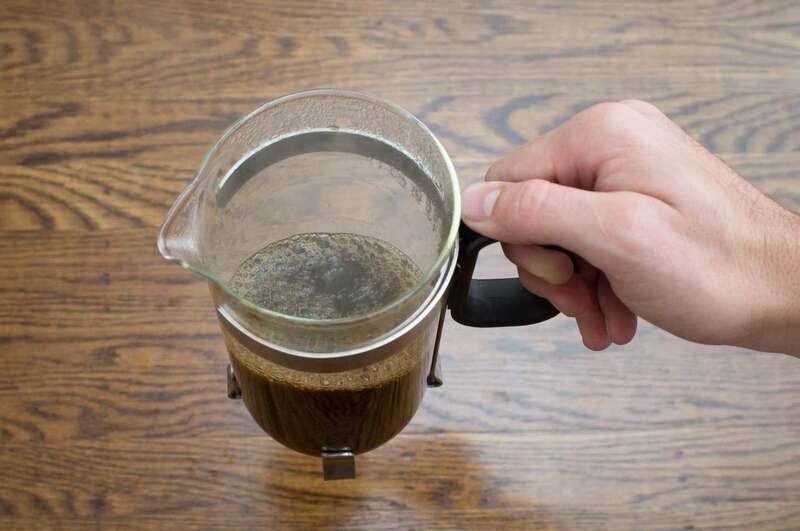 Now is the time to decide how much coffee you want to make. I recommend using a 15:1 water to coffee ratio so 35g of coffee and 525g of water nets about 2 cups of coffee. Further reading for those who need an explanation: Those of you who paid attention in chemistry will remember that 1ml of water weighs exactly 1 gram. 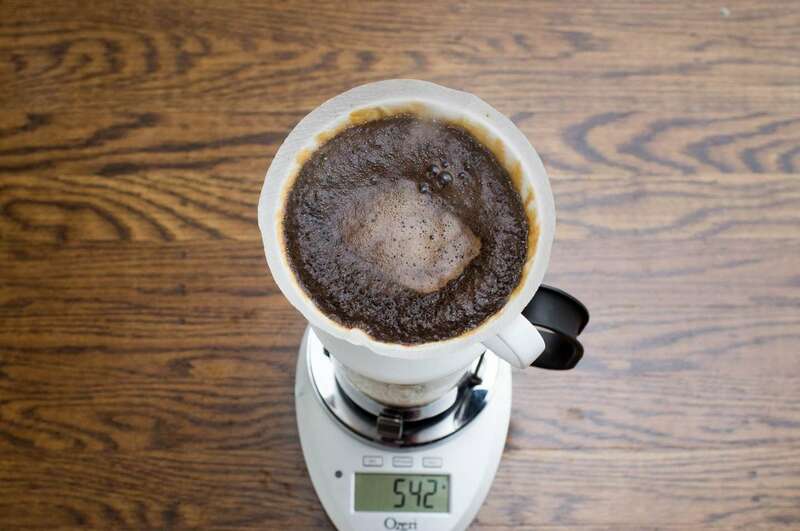 1 cup of coffee weighs about 235 grams so with water loss due to saturation of the grounds, we get very close to 2 perfect cups of coffee. 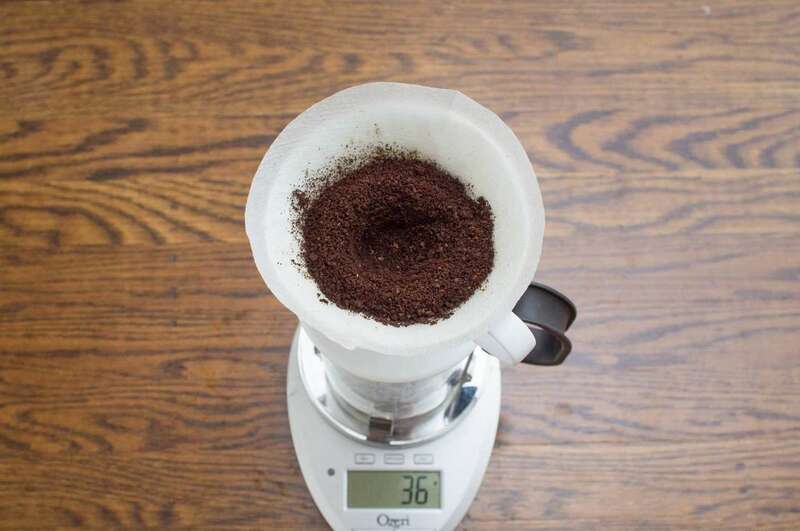 If you're using a Hario Mini Mill, we have a perfect guide for setting up the grind or check out this guide for a general guide to grinding coffee. 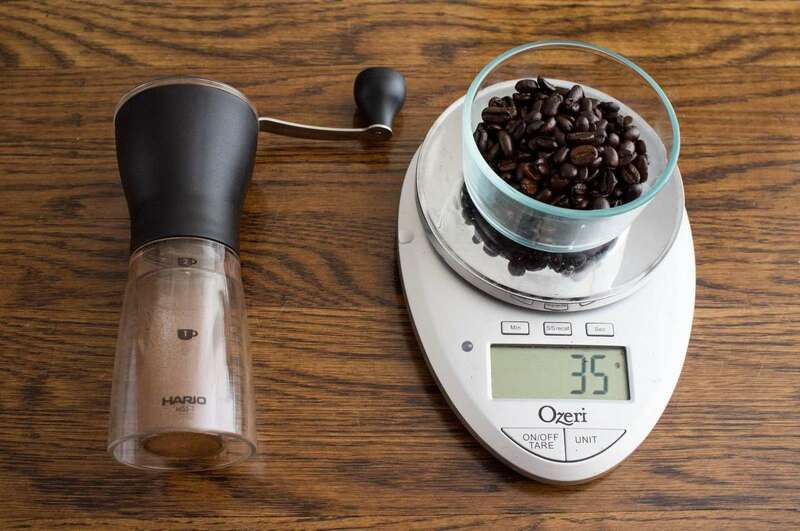 This grinder is the best bang for your buck if you're willing to grind the beans manually. It has become a part of my daily workout! The consistency of the grounds should be similar to that of bread crumbs. 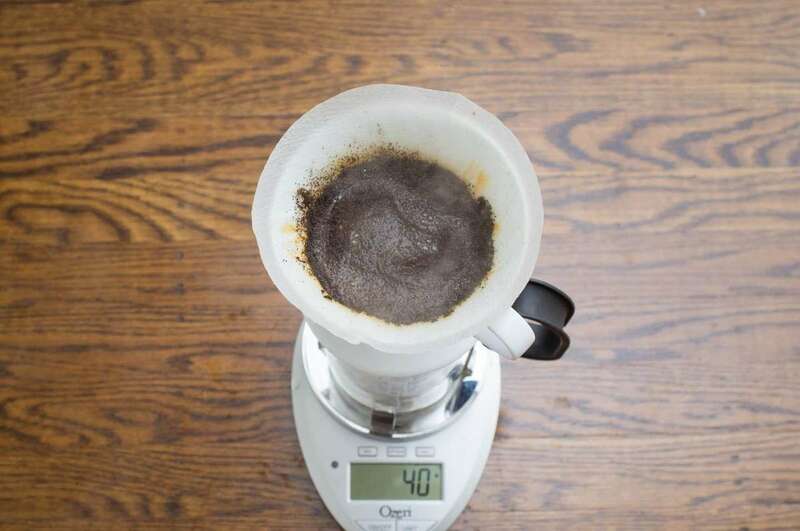 I'm using a white plastic Hario V60 dripper. You can't beat 8 bucks. 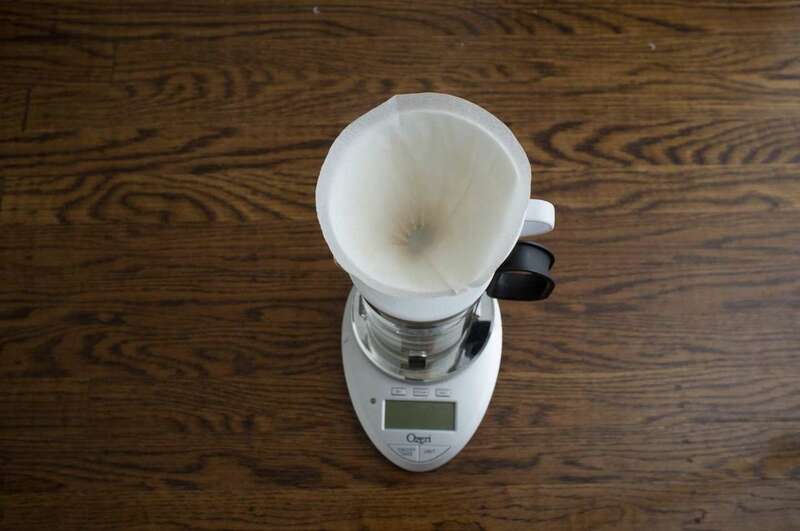 This rinses any paper taste out of the filter, preheats the cone, and sets the filter in place. Some people insist on NOT rinsing your filter. I prefer to, but you should experiment. 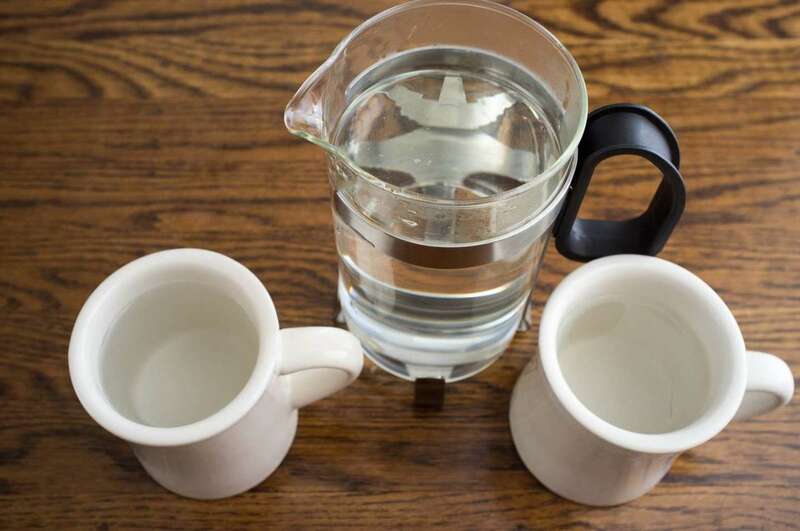 I use my french press as a pitcher for my coffee so I fill all 3 vessels up with the hottest water my tap provides. At this point, it should've only been about a minute since you removed the kettle from the stove. 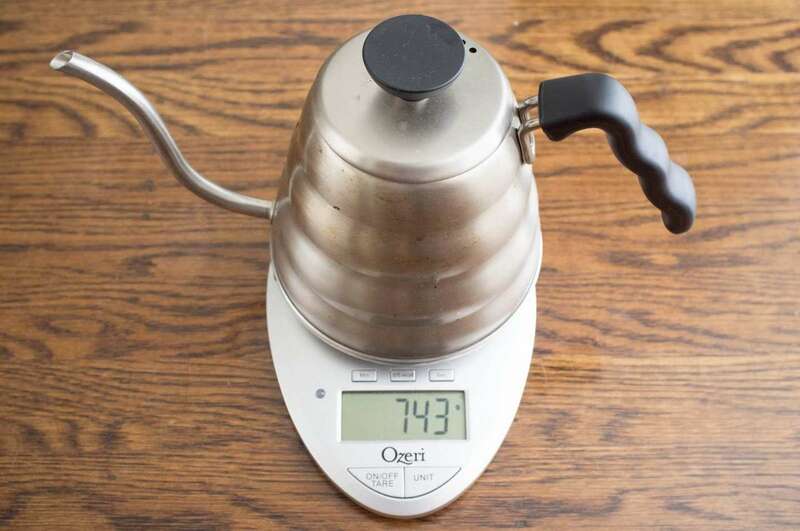 This leaves your water at about 205 degrees, an optimal temperature for coffee extraction. 40g of water is usually the perfect amount to saturate all the grounds without letting any through to your pitcher. During the bloom process, you should notice lots of bubbling and gases escaping. This bloom process allows the gases produced by the roasting process to escape. In turn, this makes for a more thorough and even extraction since the gases are not there to displace your water. Trust me, I'm a scientist. This is the most tricky part, but it is not difficult. Slowly and steadily pour the water into the grounds in a circular pattern, about the size of a half dollar, in the center of the grounds. Never pour water on the edges of your cone and try not to let the level of the water fluctuate after the initial rise. 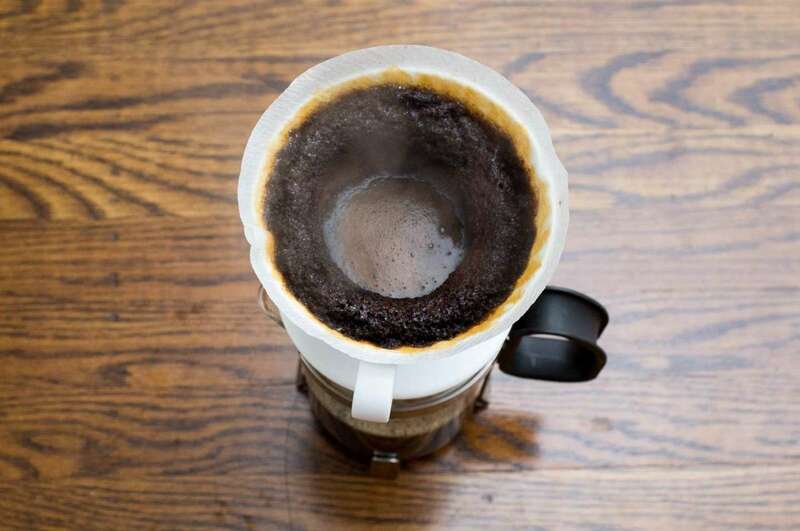 Once the cone is almost full, you can stop pouring in a circular motion and just pour directly in the center, maintaining a constant level of water in your cone. Once you've reached your target water weight (in my case, 525g), stop pouring! 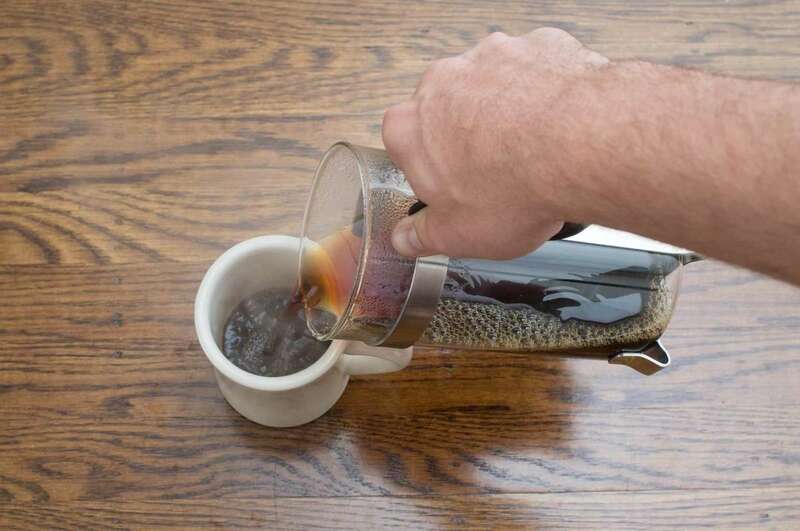 Your coffee is generally ready when the stream of coffee turns into a drip. You've really earned this so pour it and enjoy!